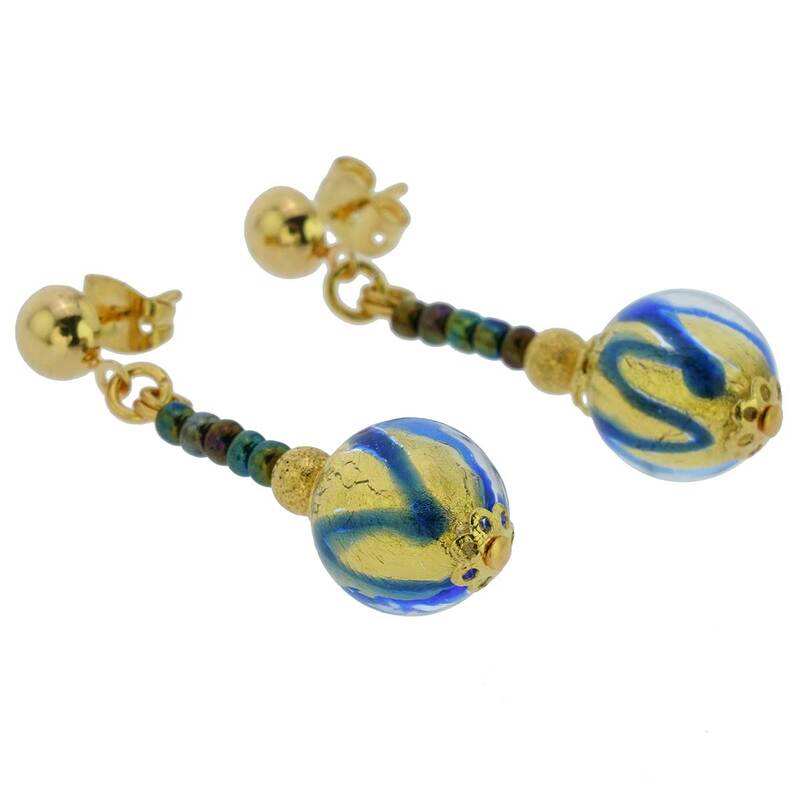 These beautiful Murano earrings designed and hand-made by experienced Murano glass masters are feminine, tender, and exquisite with a touch of Venetian splendor. They will add an elegant Italian accent to any outfit and will make any woman feel unique and special. 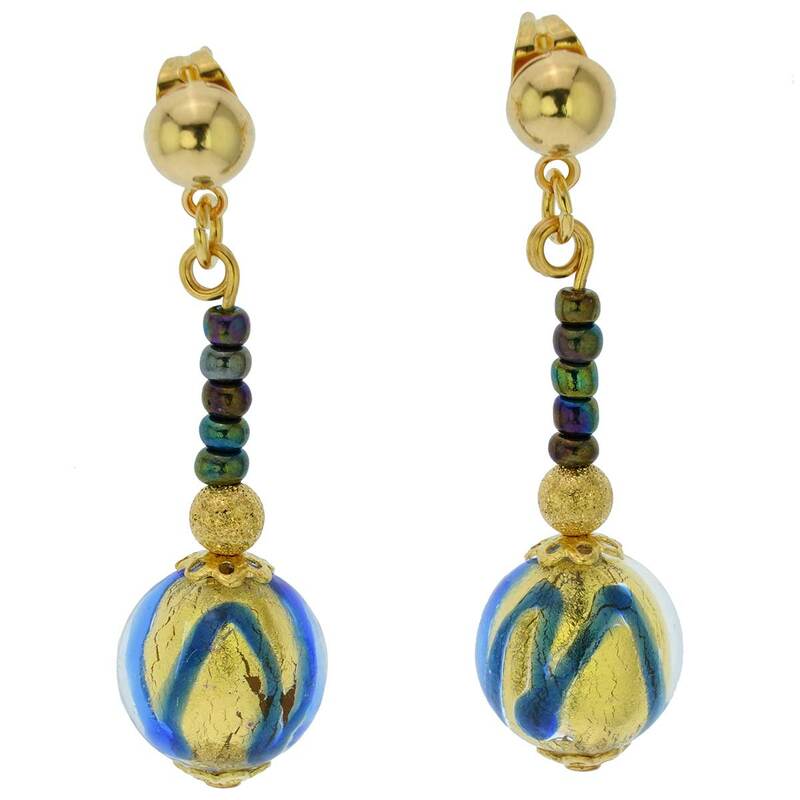 The exquisite hand-blown sphere-shaped beads feature a layer of glass infused with 24K gold and a web-like layer of rich colored glass on top. Each of these beads measures about 1/2 inch in diameter. The length of the earring is 1 1/4 inches. All non-glass parts are 18K gold-plated for durability and lasting beauty. The posts and earnuts are made of gold-plated surgical steel. 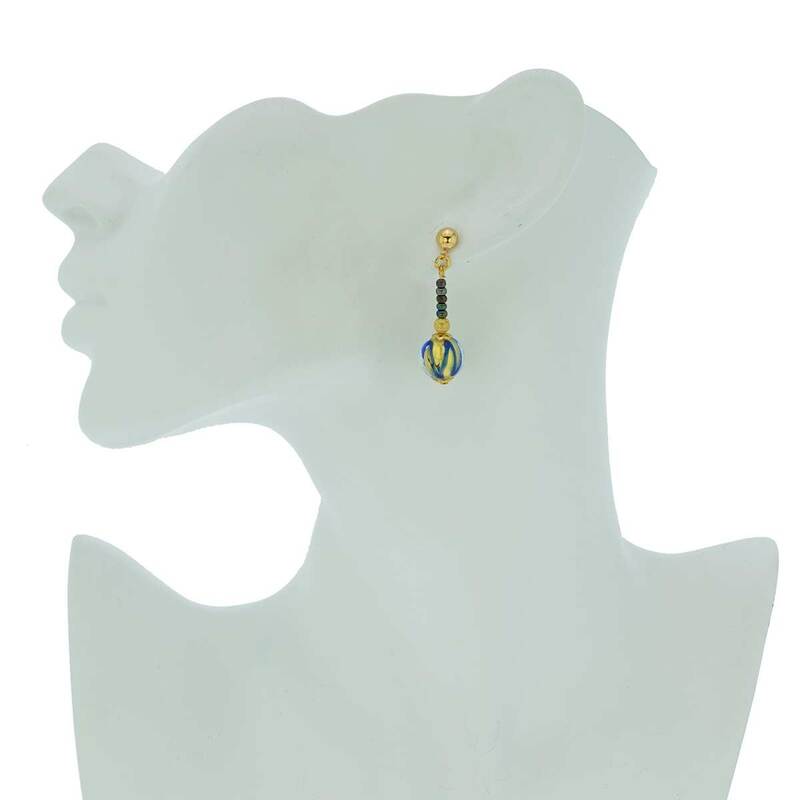 These Murano earrings come with an attractive velvet pouch and a certificate of authenticity.